If this problem has been fixed then please link if possible, I've scoured countless forums and fixes for hours and I've had no luck. Apologies for the long post but I'll cover everything I've tried. I closed the lid to put it in sleep mode and went to pick her up from work. When we got back about an hour later she opened the machine and it stayed on a blank screen. Nothing on the keyboard, trackpad (or usb mouse) or even the power button would resume the machine. Eventually I had to hold down the power button to hard reset and there was the very obvious noise of hard drives and fans powering down so the laptop was on just not responding. Following another post I went into the device manager and checked the various devices. I've looked at the keyboard and mouse sections as well as the human interface device sections. In all cases any devices that have a power management tab (I checked them all) the option 'Allow this device to wake from sleep mode" is greyed out and unticked. powercfg /deviceenablewake "HID Compliant Keyboard"
as the only user on the machine (and administrator) I found this odd until i discovered the hidden top level administrator which i activated using the "net user administrator active:yes" command. I then logged out and back in as the administrator and went through the same process as before and got exactly the same result - "you do not have permission to enable or disable device wake" How does the secret administrator not have permission exactly??? moving on I've looked through the registry to try and find the devices, I've disabled UAC (and now reactivated it) to check for conflicts there. I've tried using hibernate mode but it seems much the same as shutting it down. I've also disabled fast startup in the power management and fast boot in the BIOS. I can see no reason nor understand why all devices would be disabled from waking the machine from sleep, sleep is now effectively an endless sleep. Short of finding this laptops true love kiss I'm at the end of my knowledge/rope. Oh and it's Windows 10 home, I had no choice on the OS (outlet machine) and I'm not upgrading to another OS just so I can use a basic function. 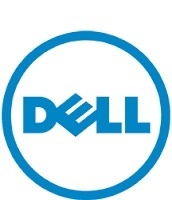 Update the BIOS from - http://dell.to/1YKI5dC - restart the system and check. Check if the issue is seen on both Auto sleep and Manual sleep. Uninstall the AMD driver (if applicable on your system) from device manager and control panel - programs and features. Restart the system and check. If the sleep works fine, then reinstall the video drivers from vendor site - http://www.amd.com/ for your specific OS. Create a new local admin account and then check again if the issue is with Auto Sleep or Manual Sleep. i have the same problem with my dell i5 5559 it does not wake up from sleep until i have to force shut down by holding power button. have you found any clue ? Have you tried the steps as per my previous post? If yes, then kindly post a detailed description of the query as per the steps mentioned and we check on further course of action. I have the exact same problem. Have followed all the steps outlined by DELL-RISHI. My Windows10 is up to date so I have not done a refresh because this would wipe all my settings and installed apps. Not a particularly feasible option..
DELL-RISHI can you please explain why a reinstall of W10 would help if the OS is up-to-date? I have a somewhat more severe version of this problem. My laptop has entered sleep mode and NOTHING will bring it back out. Even unplugging and removing the battery does not help. I have gotten it back once by powering it down, removing the battery and power cord, taking it apart, disconnecting the hard drive, restarting it to generate a bios error, then reversing the process. At the moment it is dead and I'm about to repeat the above process....this is beyond annoying. ok, try this on for size. The machine is entirely dead unless I disconnect the power and battery, disconnect the hard drive, reconnect the power and battery, start it to generate a bios error, turn it off, disconnect the battery and power cord, and reconnect the hard drive. This is, of course, after simply trying to force a power down by disconnecting the battery and power supply. I know I can/WILL disable sleep mode, but it's more than slightly upsetting. I have the same issue. I have called Dell and they went through this whole process of updating BIO, video drivers, and it still giving me issues. I just downloaded the latest video driver, and even turned OFF sleep mode so the computer NEVER goes to sleep. The worst issue is that I brought over 8 of these laptops and the ALL have the same issue! The support *** since they said we ran the diags and there are NO issues, and that my issue maybe software. I even un-installed software and it still is happening. Will update you if updating the NVIDIA driver will work. I bought mine in May 2016, and it would go to sleep but not wake up. To resume, had to power down and restart. Updated drivers with help from Dell support, which did not fix the problem. Suggested solution was to prevent it from sleeping and I was not prepared to accept that. A new motherboard fixed it. No problems since.